For many men and women, losing excess fat along the neck and chin seems impossible. If you’ve been fighting to get rid of that excess fat along this area, Kybella injection treatment may be the answer. Dr. Victor R. Michalak offers the non-surgical fat melting procedure to help reduce fat below the chin, targeting this stubborn area. For more information on Kybella and how it can improve your double-chin. Please contact our Eastside-based office at Cosmetic Surgery & Dermatology of Issaquah, Inc. to schedule your consultation with board-certified dermatologist and cosmetic surgeon, Dr. Victor Michalak . Kybella is a non-surgical deoxycholic injection treatment designed to achieve submental (below the chin) contouring and fat reduction. Once injected, the substance works to destroy underlying fat cells. 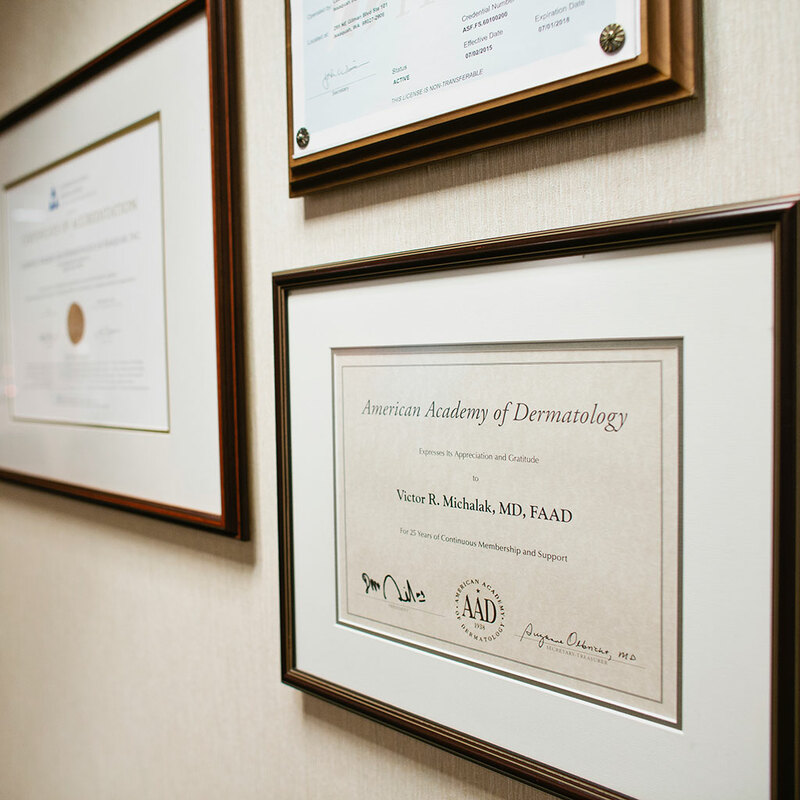 When dealing with non-surgical procedures, it is extremely important to only seek help from a board-certified dermatologist and experienced cosmetic surgeon, such as Dr. Michalak. Kybella is approved by the FDA and proven to achieve safe and beautiful results. What to expect after your Kybella treatment? Your Kybella injection treatment with Dr. Michalak will last about 15-20 minutes. Many patients choose to come in for injection treatments during their lunch break and return to their schedules with little to no downtime. Dr. Michalak may recommend multiple Kybella treatment sessions to achieve your best results. In clinical studies, 80 percent of men and women saw results after about two to four treatments (each treatment spaced a month apart). The results of your Kybella treatment are meant to be long lasting and can be maintained with a healthy lifestyle. Dr. Michalak aims to achieve beautifully sculpted results that preserve the unique identity of each of his patients.